Just a quick reminder that this tiny stuff auction will end at Friday, 15th June at 11:59 pm (GMT+8)! It's about Thursday night in the US timezone. Please noticed that the ending time for this auction has been postponed to 12 hours later than the previous end time. Just noticed that I cannot access to the computer in morning anymore after getting a new job =v=; Sorry for the trouble caused! You can always combine them with my items from the sales too! rare marble shooter GB and wants! 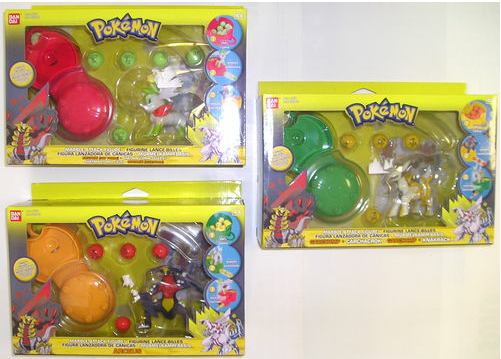 firstly I found these marble shooters and me and orangegarchomp bring to you a GB for these ultra rare EU exclusive marble shooter figures! please comment with which one you are interested in! 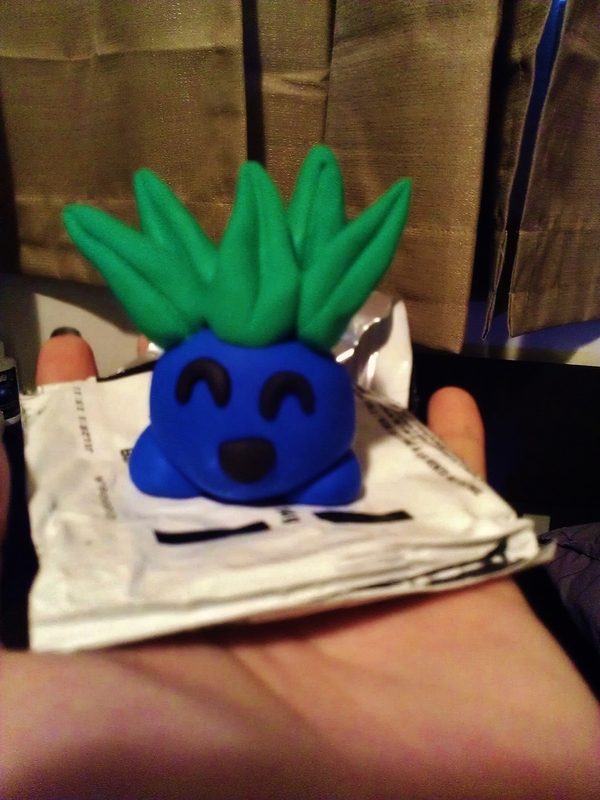 GIBLE KOREAN ERASER - will pay mega bucks for this, not even joking. Let me know if you find it! Last known gible figure I need! 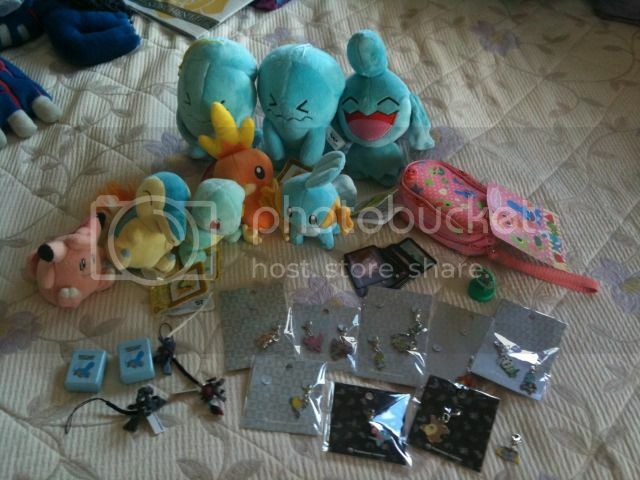 I also have many rare plush, cards, league materials and more for trade! Also, expect sales from me soon! Small Collection Updates, Bead Sprites and Reopening Commissions! Hey guys i have $7.50 on my paypal and its itching to be spent (easyer to spent than turn back in to native money) I am looking for a Sabeye zukan piece (main want) or any ghost, Turtwig or Torterra merch. Sorry for the short post here is a pic of me thinking about what to spend $7.50 on. HELLO ALL OF YOU LOVELIES. Just a quick wants post because I'm lazy and waiting on some mail. :'D Though I do have some very happy gets to post about and an OMG GRAIL on its way to me. ;w; MY FIRST GRAIL. I AM SO EXCITED. I'll probably group all those things together with my one year anniversary post, which I plan to do when my grail gets here! Even though my anniversary was two weeks ago. I'd also really love it if it came with the paper insert (<- this is a link) too, but it's not absolutely necessary. I know there's one on Pokevault, but it ends up a bit over $11 shipped and I wanted to try you guys first. XD I don't know how much this figure's value is outside of Pokevault, but I'm willing to pay a maximum of $5 before shipping. I live in Canada! Thanks guys, and have a lovely Thursday/Friday (whatever your time zone)! ♥ ALMOST THE WEEKEND. The Vinyl figures have arrived. They are a little worse for wear. Unfortunately they were not well packaged and bounced around inside the box. So all of them have paint rubs. They should clean up just fine, have your magic erasers ready. Hey guys! Just another reminder that the Pokémon promotion in the US starts TOMORROW and I'm doing pick ups for the toys. 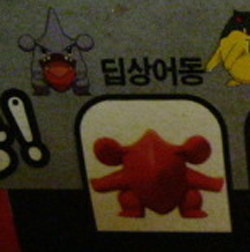 It looks like the Pikachu figure is a launcher and the rest have moveable parts! Click here or the pic for more info! June Set of Kids is in/EXTRAS! August Set Reservations!!! The June (Keldeo Set) Kids came in today! As usual, I have plenty of extras for all! They are listed below. If you have already reserved kids from this set, please check the below cut for more information!!! Hello community! Long time no see. @_@ Last month was literally hell for me (well not all of it lol), which is why I have not been active at all. It was finals month and now I'm finally on vacation. I know I do a lot of buying/selling/commissions here, and I know I've gotten stuff as messages or comments, and I'll be starting to go through them and catch up on anything I've been missing. To make this post a bit more interesting, I do have a cute little dead fluffy ninja bug to share with you guys below the cut! I'll only be taking 5 slots this month as it's like the middle of June and I almost always start taking them on the first. July and August will have 5 slots as well, give or take depending on how many people are interested this month. ALL JUNE SLOTS HAVE BEEN TAKEN ALREADY! i have so many customs for you it hurts. other than that, i've got a whopping TEN slots open at my journal, including ~6" plush, miniatures, and one slot for a one foot plush! for more examples of my stuff, check out my tumblr! EDIT: Are there sites that help you bid for you on ebay, when seller ships to US only? Hey collectors! check out The Speedgamers! hey all! this is kind of a promo post. i have denkimouse's permission, though so. i'm not sure if many of you know of the speedgamers, but they're pretty much a group of gamers who do speed runs of games to raise money for charities. they do stuff like raffle prizes and auction game-related stuff off as they do so. to sum it up real quick: they're doing a pokemon marathon this week. they're aiming to catch all the currently released english version pokemon. ALL OF THEM. and they're doing it to raise money for ACT Today which is a charity focusing on helping kids and families with autism get care and treatment they might otherwise not be able to get. so by now you're probably going "okay, yeah, but why is this in the pokemon COLLECTORS community?" good question! i have a good answer! THE PRIZES/RAFFLES/AUCTION ITEMS! and loads and loads more. i'll be posting whenever a specific raffle/auction is going on, so that collectors here know when the best chance is to get any given item. however, TSG is accepting early donations now - if you just really, really want to get in early and support this cause. there's no minimum donation and 100% of the proceeds go to ACT Today. if you want to donate 50$ to charity, they'll name a starter pokemon after whatever you want. check here to see what starters are left. 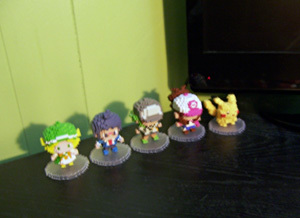 Also: anyone have any Tauros, Bulbasaur, Bouffalant, or Shiny Vaporeon figures or plush? Auction Reminder! 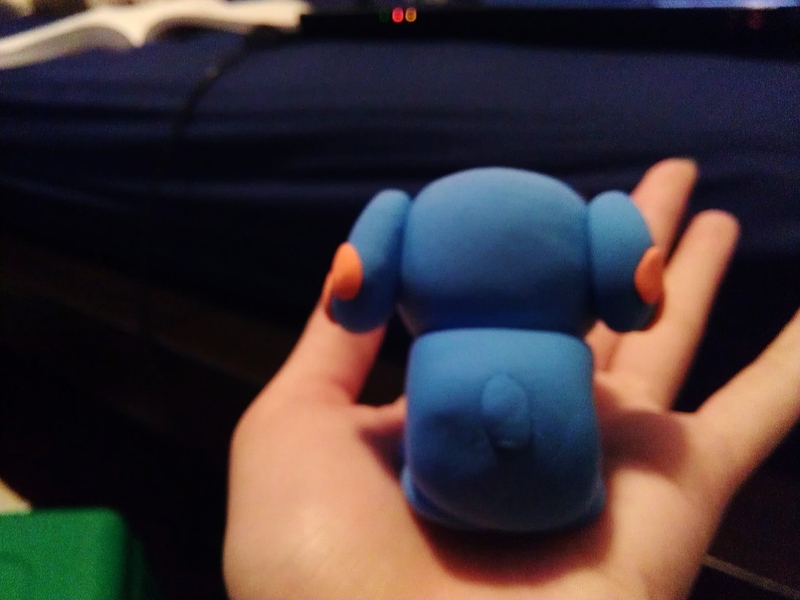 Small Lillipup Line Collection Update! Possible Shiny Kid Commissions? Hey, everyone, I'm here with an auction reminder! Auction ends tomorrow at 11:00 PM CST. I hope the summer is seeing to you all well and isn't going by too fast. The point of this post, though, is I saw some pokemon merch on amazon uk that is impossible to find, but unfortunately it comes from a third party seller and they are adament about not shipping to the U.S. :l ...so I was wondering if anyone A) lives in England and would be willing to do the middle man service for a fair fee or B) knows of a website that could this or C) is just a smarty pants and could thing of something else that would work. Thanks to everyone who tries to help! Kanto Badge GB in today! That was awful fast, huh? Well, I just got home from work, and our badge set was waiting in the mail! More details under the cut, and payment information! Is my Shinx Zukan Legit? 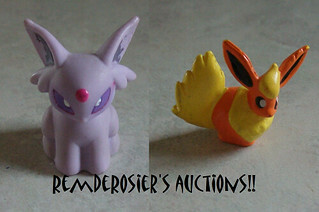 So like a lot of you saw, some sellers from China listed a bunch of Shinx line Zukan recently for very low prices. I figured "Sure, why not?" 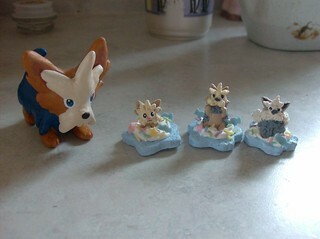 and bought one because even though I collect Shinx, I've never been able to get my hands on the zukan! I've never really had zukan before(I had the Unova starters, the Patrat line, Reshiram and Zekrom for a short time) so I don't really know how to judge if it's legit or not. And if it is legit, is it really the Japanese version like the seller claimed, or is it European? Answered! Seems like it's real. So this is more of a get post now :D Thanks guys! New gets and collection update! Anyways, I'd love to show you my new gets and my updated lati collection. You recognize this giant bootie, don't you? 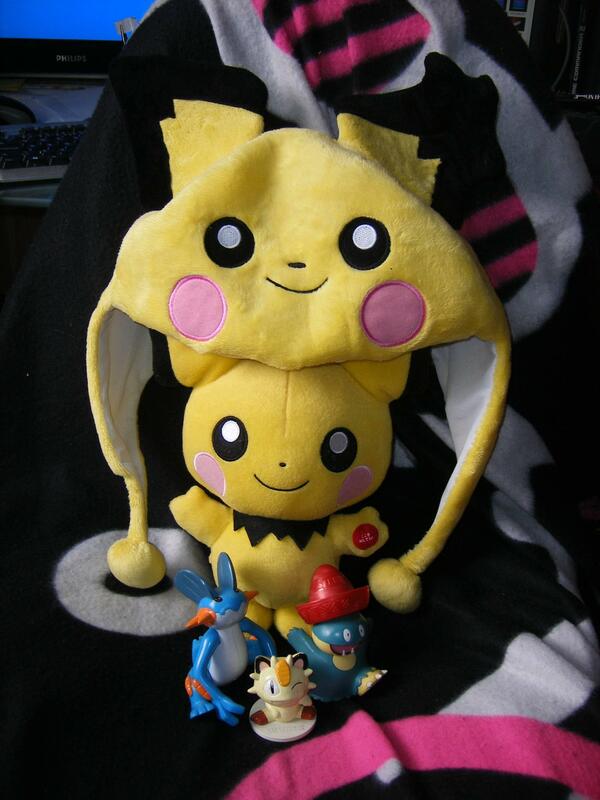 And for the pichu and friends ga, all your packages have been shipped Monday, so do expect them to be in the mail soon! I will leave you guys feedback a little later today :). Also, has anyone seen cluw? I know one other person has lost contact with them as well. They have a good reputation on here, so we are just wondering, and a little worried for cluw! They still have not payed their second payment for my ga. So now we are just waiting :c.
Our best friend Kats of AAPF has been keeping good track of upcoming goods for us while I dilly-dally posting images and information here. Let's have it all at once, shall we? Bandai/Takara Tomy report! Banpresto and Ichiban Kuji report coming...............tomorrow? Maybe? Am I being too hopeful? And today's big news reveal! 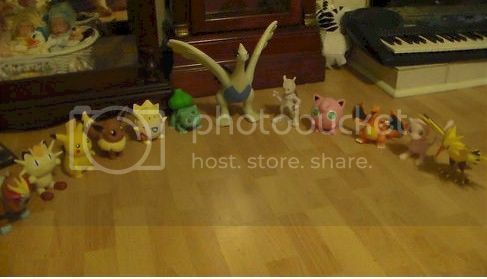 NOTE: We dunno if those Eevee MC figures are new poses or not. But yes, this does mean Tomy is breaking into Eevees as well. 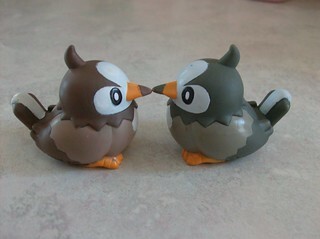 EDIT: New Pokemon Mate items have just been added for July. We'll have ALL the July stuff up for preorder as soon as the current June items are all shipped out and paid for! It's called Pokémon Adventure Camp, and it is "a special theme park area in Nagashima this summer from July 21st." Edit: also thanks to mamoswine, who pointed out that AAPF mentioned the park in April. Sounds like it will be more activity-oriented than ride-oriented, but there will still be a shop with goodies! So guys, is it just me or IS THE 2005 POKEPARK FINALLY BACK?! 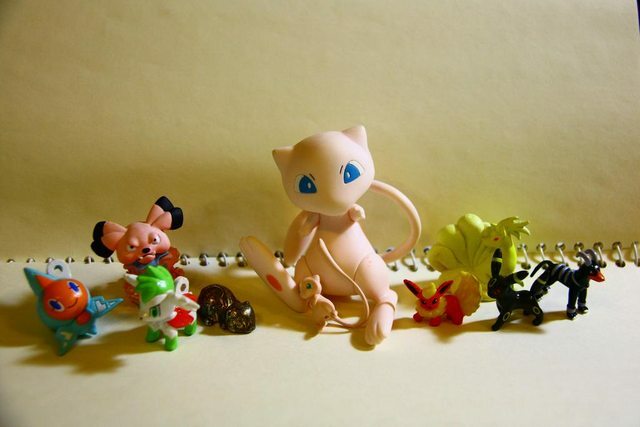 I really shouldn't jump to conclusions/get my hopes up, but if this what I think it is, Holy Mew! 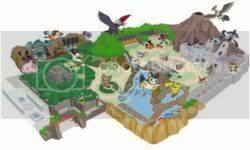 For those who don't know, the Pokepark was a small theme park that as open in Japan from March 18-September 25, (and then in Taiwan from June 23-September 24 in 2006). It featured multiple rides, games, Pokemon statues, and of course, one-of-a-kind merch that collectors still seek to this day! So, if this is really is another shiny new theme park Pokémon theme park, what kinds of rides and spectacles would you like to see? And most importantly, what kind of merch would you like to see come out of it? Aaaand in unrelated and way more boring news, what are some good methods of shipping Pokemon cards in bulk? I haven't done so yet and would like some advice. I figure to put cards in toploaders, but would a box or envelope be best, how else can they be protected and so on? Thanks! 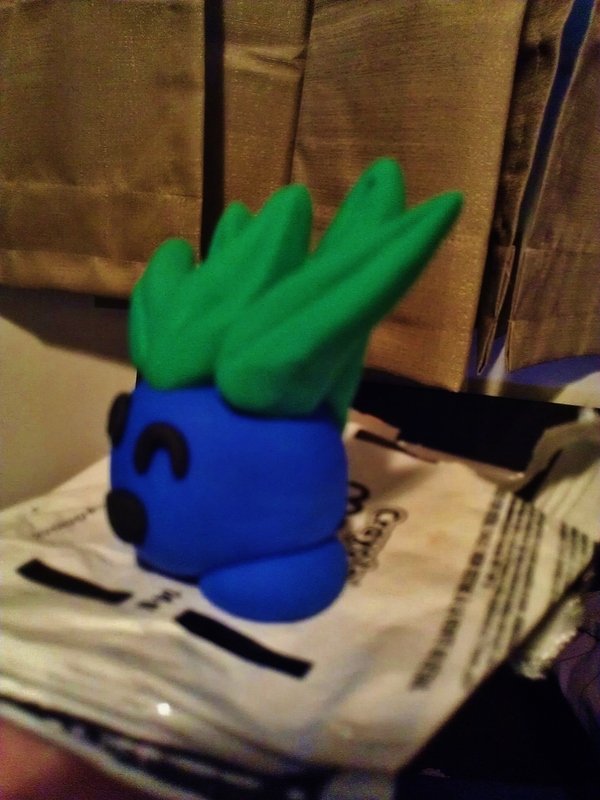 Boyfriend and I got bored.... so we decided to play with some Crayola Model Magic lying around. 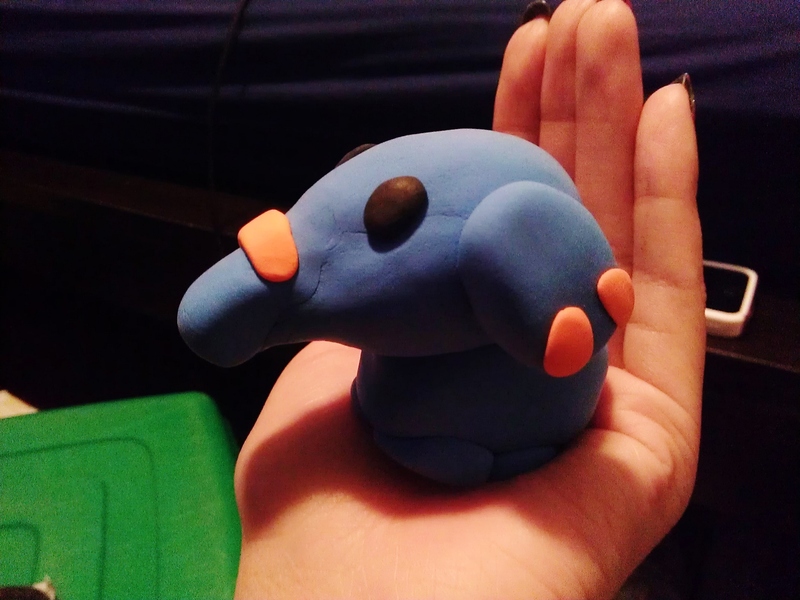 We ended up making a Phanpy and Oddish. 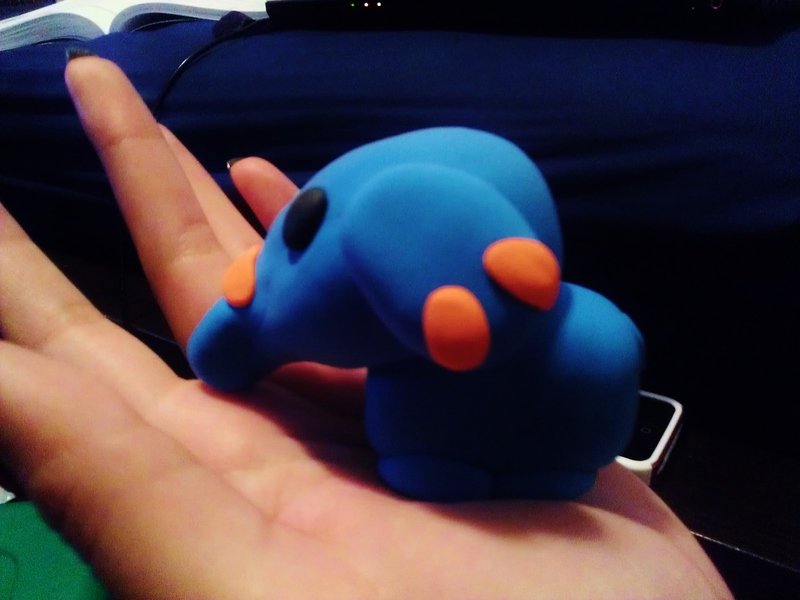 Phanpy was inspired by its Pokedoll (still on the search for one). Second - I do have an Animate store 5 mins from home xD So I picked up some Pokemon Mate stuff for myself, and I have a few extras for direct sale! Everything can be combined with current pickups or items from my sales! 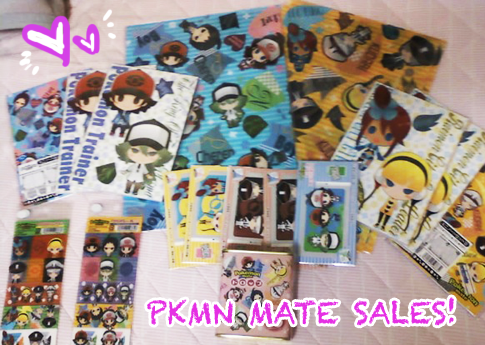 Please take a look :D Permanent Sales Link! 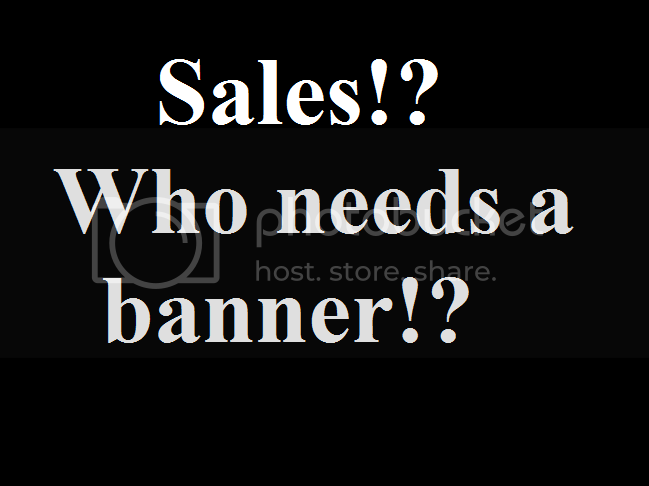 Today I bring you a sales and offers post, so let's dive in! 3. Pet friendly but smoke free home! 6. All offers end on Sunday June 17, 2012 at 10:00PM EST or if I see an offer I would like to accept sooner. 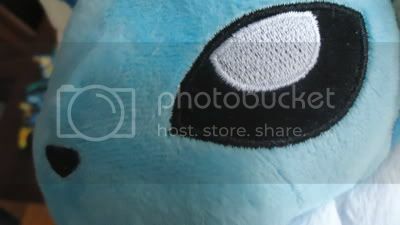 I also maintain the right not to sell at all, things that I am iffy about will be labeled tentative offers clearly, thanks! Also, milomilotic11 I have not been able to get to the post office this week due to my sister graduating this weekend and all kinds of family chaos (plus father's day coming too) D; I appreciate your cooperation in all this, and your package will be sent again (with freebies!) on Monday. Thanks again!